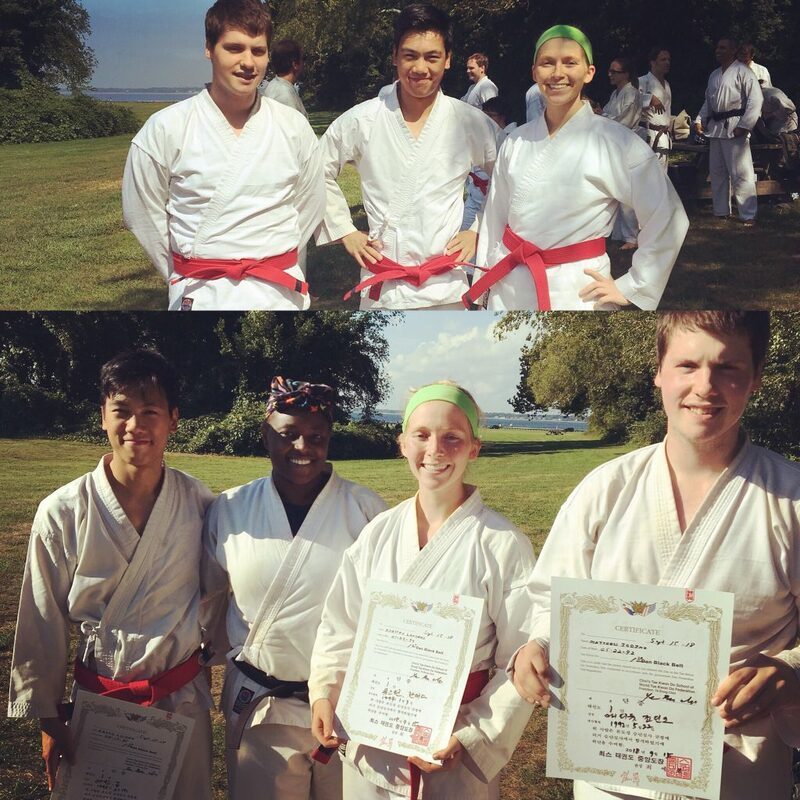 Congratulations to our clubs newest black belts Instructor Jodino, Instructor Landers and Instructor Luong! RSVP on the Facebook event if you plan to attend so we can determine if anyone needs a ride to the facility. If you plan to attend indicate your interest in the poll on the Facebook group. For those that are interested in taking the white belt test either email or inform the primary instructor prior to class. The white belt test is a brief physical test that will take place at the end of a regularly scheduled class and be followed with questions. If you feel you comfortably know Chun Gi (first form), the school rules, and the Korean counting/terminology then you are ready to take the white belt test. You can find the school rules, the definition of Taekwondo, aims to achieve, Korean exercise counting and terminology on our website. I will be having white belt testing opportunities starting September 24th. If you are unable to attend class next week or are not ready for the white belt test in September there will be other opportunities at the end of class in October as well. After new students pass the white belt test they have the opportunity to purchase a uniform for $18.